CrossFit Te Rapa is a community of like-minded people, who motivate and inspire one another to be active and healthy through exercising together. We aim to provide you with a positive and fun environment to get fit in. With our constantly varied programming you will rarely do the same workout twice, which means that you will never get bored! You will never have to program your own workouts or spend hours in the gym. Instead, each day a workout will be provided for you that is scaled to suit you and your fitness level. Each work out of the day (WOD) is a maximum of 60 minutes meaning, CrossFit Te Rapa can fit into your busy schedule. We offer a wide variety of services. 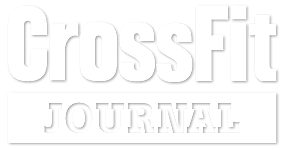 CrossFit classes, Bootcamp, Olympic Weightlifting CrossFit Kids, CrossFit Youth, Teen's Club, Open Gym Time, Personal Training, Facility Hire, Group/team training sessions and more. Here at CrossFit Te Rapa we are one big family! We train in a group environment with people who enjoy a challenge, want results and are down to earth. Meet our awesome members, see why they CrossFit and hear what they think about our gym.